Wow. If I didn’t feel a dire need to express how truly amazing Fire Emblem Awakening is, I could just write this one word and leave the article at that. In the past couple of years, I’ve begun playing more games than ever, but despite the dozens of games I’ve played lately, none of them are as good as this one. 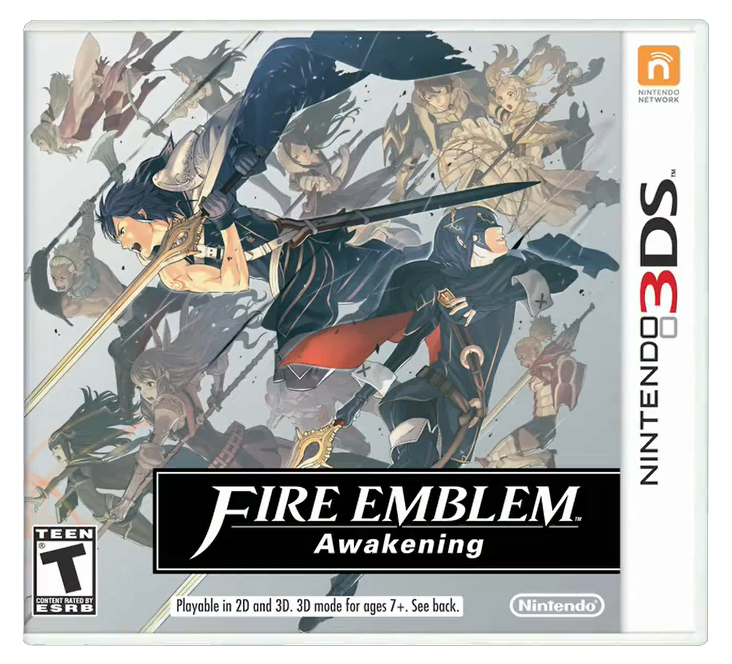 In fact, I would venture to say that Fire Emblem Awakening is possibly best game I’ve ever played; undoubtedly, it is the best mobile game I’ve encountered. There are so many aspects of this game that come together perfectly or near perfectly, it was amazing. I’ve not yet encountered a completely perfect game, but now I now how it feels to be so close to that nirvana. I’m very glad to bestow upon Fire Emblem Awakening the highest review score on my blog to date. I usually don’t play many games on my phone. Sure, I got the Angry Birds bug once upon a time, and I love a good round of Temple Run 2 here and there, but largely, I opt to bring my 3DS when I go places. I would much rather sink my time into some Street Fighter or Fire Emblem than Dragon City or Words With Friends. This weekend, however, I took a trip with my church’s youth group, and I didn’t bring my 3DS along. I assumed we would spend more time socializing than sitting on the bus in solitude, and I was correct in my assumption. Oddly enough, a lot of the time we spent chatting with each other revolved around playing or talking about one mobile game: Flappy Bird. Oh, Flappy Bird, you have become the bane of my existence, and I have no idea why I’m so addicted to you. I enjoy reviewing games. I like being able to share my honest opinion with others, and I enjoy being helpful to others who may be considering a game but don’t know if it’s worth the plunge. For that reason, I’m going to try to review at least 2 games per month, especially considering I get one free on the PS4 every month anyhow. Not to mention, I’ve got a stack of games my dad bought for the PS3, and I’m probably about a third of the way through The Last Of Us, if I had to guess (great game so far). But, for all the games I’ve rated on My Opinion As A Gamer so far, there have been only a couple that I’ve had to consider skipping a review. The first is Battlefield 4, and you probably know why I’m not reviewing it if you’ve been following the saga. The second is a new, free game for PS+ members on the PS4; it’s a quirky little title called Don’t Starve. Do I Love Gaming Too Much? I take pride in the fact that I usually keep up with all the developments in the gaming world. I almost always know about a new event the day it happens. Oftentimes, friends will come up to me and ask “did you hear about this?” I’ll just respond by saying that I knew about two days ago. So, when somebody tells me something gaming related that I don’t know about, I tend to get a little skeptical. Instinctively, I jump to the conclusion that they’re joking around with me or lying. So far, this instinct has served me right about 90% of the time, so I continue to use it. Somebody told me something this week, however, that got me thinking. How many of you game enthusiasts out there played games as a kid? Maybe you were raised on Nintendo where Mario, Pokemon, and Zelda were essential. Maybe Sonic, Rayman, or Pac-Man were more your style. Looking at this list of games, most (if not all) would probably be considered “children’s games.” Now, many of you who had nostalgic flashbacks of these games are probably 25 years of age or older. Are you too old to go back and play through a classic Sonic adventure? Are you too mature to be a kid again? Some would have us believe this, all because of a misconception that M rated games inherently come with age. **Spoiler Alert** There are major spoilers in this article concerning the Halo storyline. This is part five of my SoH series, and if you haven’t read the other five articles, you should do so here(1), here(2), here(3), here(4), and here (5) chronologically. Welcome to the sixth chapter of my Story of Halo series! When we last left Master Chief, he had just blown up the Halo ring to save the galaxy, and he and Cortana are headed back to Earth with lots of new intel on the Halo, the Covenant, the Flood, and more. However, we won’t begin this chapter talking about Master Chief. You see, in Halo 2, the storyline is one in which two viewpoints are shown: Master Chief’s, and Thel ‘Vadamee’s. (You don’t know who Thel is yet; that’s alright). The story switches between the two, and it explains what’s happening to both of them during the same time period. Eventually, their storylines meet, and… well, telling you more would be spoiling the chapter, but let it suffice to say that today you’ll be learning about Thel, his importance, and how he ties into Halo 2. Class is now in session!